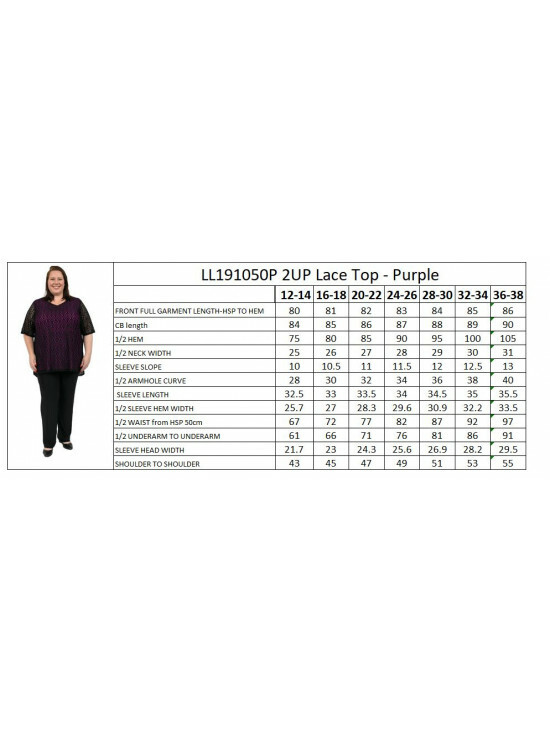 Stylish, elegant look for a formal occasion, this black V-neck lace plus size top has a contrasting purple lining through the body with unlined elbow-length belle sleeves and a flattering A-line shape to give more swing through the hem. A versatile look for day or night, team it with Coulottes of Fun or Above and Beyond Skirt for a stylish outfit for a party, or night out. Length: Centre back - 84cm (approx). Centre front - 76cm (approx).